Garage Door Repair Rancho Cucamonga Ken Davidson Garage Door Repair is ready for immediate response when you have a Garage Door Spring Repair problem. There are many reasons a garage door could come off track. The main reason is that your springs have either grown weak from use or have broken. If your garage door ever becomes partially detached, stop operating it and call us immediately. The springs, cable, and hardware system is under tremendous tension and must be properly counterbalanced before beginning any repairs. Attempting a DIY repair could result in serious injury or death. In the event your door comes off track, call a Garage Door Repair professional from Ken Davidson Garage Doors. Before attempting to use the door again. Doing so could be the difference between being able to repair or needing to replace your garage door. Using your garage door in this condition could cause serious additional damage to your door. In some cases, you can pull the door completely off the tracks and cause more damage to the door, ensuring your need to purchase a new door which will be hundreds of dollars more. This will give you five to seven years of continuous use. If instead, you plan to live there for many years to come, then consider buying a High Cycle Life Spring. It will cost a little more but you will save hundreds of dollars over next 15 years in labor costs. Instead of paying a labor charge every 5 to 7 years, you will pay only one labor charge. That alone is over $200 savings. Ken Davidson Garage Door Repair Rancho Cucamonga offers a variety of garage door openers, remotes, and entry systems. We also provide garage door opener repairs on all brands. We have garage door openers that are available for every residential application. A garage door opener can save you time and hassle! It does more than just open and close your garage door, it increases the life or your garage door and can increase the value of your home and it greatly improves your security. At Ken Davidson Garage Door Repairs Rancho Cucamonga, we have a wide selection of state-of-the-art residential garage doors, garage door openers, parts and accessories to fit any home and budget. Just like the products we sell, our service is first class. From inspection and installation to cleanup and haul-away, we take pride in every phase of the process and perform in a timely, professional manner. There are many reasons a garage door will stop working properly. If you are having problems with your door, try cleaning the tracks and rollers and lubricating the roller bearings. If the problem persists call me before big trouble develops. I have seen hundreds of doors laying on top of cars and flat on the ground. It is recommended that homeowners hire a trained professional to install their garage door openers. However, if you still want to install the opener on your own, be sure to follow the manufacturer’s instructions very carefully. We have technicians available day and night: With our 54 years of experience in the garage door business, we understand that problems with garage doors and openers can occur beyond normal working hours. Thus, we make sure that our trained experts are always available for emergency garage door repair. Every homeowner should understand that garage door problems do not always occur at convenient hours of the day. When there is a serious malfunctioning in the garage door, you may not even get the chance to wait for the normal business hours. However, if you are based in the Inland Empire, you can always avail the services of the company Ken Davidson Garage Door Repair Service. 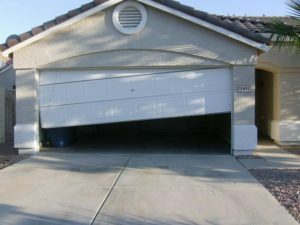 Here, we provide 24-hour Garage Door Repair Rancho Cucamonga to deal with garage door issues at anytime day and night. With our emergency garage door repair services, we can be on our way immediately and deal with all the issues. Our emergency garage door repair services are easily accessible. your job, and you should always enjoy helping others by providing your service. garage doors technicians, and you want a company that always uses high quality garage door parts. Because a good garage door start from the installation, no matter how good and experienced the garage door technician is, if he does not use the best parts for the installation, it is only a matter of time before the door will stop working. On the other hand, if the technician uses the best garage doors parts, but he is not professional and experienced enough, again, the door won’t last. Our goal is to always provide our customers with those 2 important things: We always use professional technicians, and we only use the best garage doors parts that on the market today. So if you are looking for a good and reliable garage door company in Rancho Cucamonga, Ken Davidson Garage Doors has what you need. Garage Doors can come in endless variations of color and design, and can serve different purposes. Whether it is a decorative residential sectional door in Rancho Cucamonga, or a massive and strong carriage house door, we are the answer for all your gates service in Rancho Cucamonga. We know that when it comes to garage door repair, you might need the repair service at unconventional time and place. That is why we offer a 24/7 garage door repair service in Rancho Cucamonga for all our customers. customer service representative will be happy to help you, and to share the knowledge we acquire after years in the garage door repair service in Rancho Cucamonga. It is important to warn you, that a garage that needs a repair, or an opener that does not work smoothly way, can be a dangerous to you or to other people that using the door. That is the reason why we highly recommend, that a garage door that does not work perfectly, should not be used at all, until someone professional has come and inspected it. A good garage door repair start from one basic thing: understanding the problem, and the reason for it. We, at Ken Davidson Garage Doors, will always give 100% for every garage door repair job we accept, simple or complex. From a simple residential garage door repair in Rancho Cucamonga, to a more complex commercial garage door repair, all our customer know that we will do our best, to provide you with the best repair service, for a fair price. We know that facing a garage door that need a repair service can be an unpleasant experience. That why we are committed to a same day garage door repair service in Rancho Cucamonga, 24/7. Our reputation is built from hundreds of satisfied customers, that needed our service in the past, and now they know that no matter where or when, we will always be there for them. Whether it is a broken spring, or a garage door opener that needs a repair, we are your address in Rancho Cucamonga. Looking for someone in Rancho Cucamonga to install a new opener? Need a broken garage door spring repair? Look no farther! Ken Davidson Garage Doors offers same day Overhead garage door repairs in Rancho Cucamonga, and in order to provide you with a quick and professional repair service, we carry all the garage door repair parts and tools, which are needed to fix your garage door on the first visit. We offer garage door spring repair in Rancho Cucamonga. Whether it is extension spring repair, or torsion spring replacement, we can fix it. We carry different springs, for different doors, because we know how important it is for you, to get your garage door fixed ASAP. Need a garage door opener repair in Rancho Cucamonga? Looking for a garage door motor installation? Look no farther, because Ken Davidson Garage Doors will be a great choice. We carry garage door motors from leading brands, and from the kind that are going to last 10-20 years. From Chain drive opener, to Belt drive opener, we got it. leave an unsatisfied customer behind, and will always do their best to preserve our reputation of serving our customers anytime anywhere and with a lot of love to the garage doors field, and to the idea of helping people. So you know that we will be there for you, whenever you are going to need our services. Every garage door, that was properly installed by a professional and experienced technician, and that was built from high quality garage doors parts, designed for the American standard, should work with no problems for many years, as long as it is being maintained at least every 6 months. That is why we only hire experienced and professional garage doors techs, and why we only use high quality garage doors and parts, so we know that whenever we finish a garage door project in Rancho Cucamonga, whether it is a garage door replacement, or a garage door repair, we are adding one more person to our long list of satisfied customers. We believe that a good service, no matter from what field, start from one basic thing: you need to love what you do, and you need to enjoy sharing your knowledge and help those who need your service. share. Ask each one of our garage doors customers in Rancho Cucamonga, and they will all tell you the same thing, YOU CAN TRUST THEM. You can trust them to come on time, to do a professional job, and to give you a fair price, no matter how small or big is the project. This, among other things, what make us to one of the leading garage doors companies in Rancho Cucamonga. So, if you are having a garage door problem, or if you are not sure what exactly need to be done, contact us, and we will be happy to help. To us it doesn’t matter if your garage door got stuck, your commercial door is broken, if someone hit your overhead garage door with a car, if it is a garage door opener repair in Rancho Cucamonga, or a torsion spring repair. As one of the leading garage doors company in Rancho Cucamonga, we are always ready for your call, and always willing to help. We learned that there is never really good time to stop everything, and start searching for a garage door supplier in Rancho Cucamonga, to come and repair the door for us. So we are trying to make it easier for you, by offering few unique services. It is very rare that you will need a garage door service, and if you prefer to perform the maintenance by yourself, you may not need the service of a garage door company in Rancho Cucamonga for many years. But when the door gets stuck, or if the opener has stopped working, you are going to need a garage door supplier in Rancho Cucamonga. A quick search will reveal many garage doors companies in Rancho Cucamonga, and it can be easy to get confused on your way to find a good contractor. But there are few things you can do, to make the search easier, and to try and make sure that you hire a professional contractor. To read more, check our article on How to find a good contractor. Our service doesn’t end with repairing the problem. We will not leave until we have examined the door and made sure it is safe for use. We will also address the reason for the problem, and we will make sure that it will not happen again. So all that left to you is to choose when, and we will be there. We know that there are other garage doors and gates companies in Rancho Cucamonga, and we appreciate that you choose our company for your garage door needs. We are committed to 100% satisfaction for every garage door repair or installation we accept, no matter how simple or complex, because we have a reputation to maintain, one that we built during years in the garage door service in Rancho Cucamonga. Whether it is a garage door repair, or garage door installation, you will find the right coupon for your next project. Sometime people prefer to perform the garage door repair by themselves. There encouraged people to do so, since some of the garage door repairs can be pretty easy, as long as they follow the safety rules, and avoid removing or touching things which they are not sure about. But in order to perform the DIY garage door repair, whether it is a garage door Rancho Cucamonga, or an opener repair, you must have the right parts, such as garage door spring, garage door pulley, garage door safety sensors, garage door cable, garage door hinge, roller, or any other part which is necessary to complete the garage door repair. We offer garage door parts in Rancho Cucamonga, all you need to do is to contact us, and we will try to supply the needed part. If your garage door is equipped with extension spring system, and one of the pulleys is broken and need to be replaced, we can help. Ken Davidson Garage Doors offers garage door pulleys for all kinds of garage doors. supply it. Please note that replacing a broken pulley can be dangerous, and we suggest that you use the service of a trained garage door repairman to do the repair or the replacement. If you need to replace a broken garage door spring, and you are interested in performing the job by yourself, but you can’t find the right spring, we can help. We carry springs from different sizes and for different garage doors in Rancho Cucamonga, and we can help you find the right spring for your garage door. But locating the right spring for your garage door does not mean that you completed the biggest part of the repair, since removing the old spring, and installing a new one is not an easy project, and should be done by an experienced garage door repairer. If you decided to do the repair yourself, please make sure that you know exactly what you are doing, and avoid removing parts which you are not sure that are safe for removal. Many times, the safety sensors are the reason that the garage door is not working and get stuck. Many times we are receive calls from owners of garage door Rancho Cucamonga, which say that their garage door motor isn’t closing that door all the way, and that in the middle of the way, the garage door is reversing, until it is returning to open position. And yes, most of the time the problem is a safety sensors issue. If that is the case, and you think that the problem is a garage door safety sensor which need to be replaced, we can help. We carry garage door safety sensors from different garage door openers manufacture, and we will be able to assist you getting your garage door working again. There are many reasons that can lead to a broken garage door hinge, such a garage door which was hit by a car, a rotten garage door, or a ruff use of the garage door, which ended with a broken hinge. If you are need a garage door hinge replacement in Rancho Cucamonga, and you prefer to “do it yourself”, Ken Davidson Garage Doors can help. We offer garage door parts in Rancho Cucamonga, including garage door hinges for garage doors of all sizes. If your cable is damaged, torn, split open, rotten or any other reason which require you to replace it, we can help. We carry different cables for garage doors, so you will be able to replace your garage door cable with a new one. You do not have to wait until the cable will completely snap, something that may prevent your garage door from open. If it seem like the cable is starting to break, or partly damaged, consider replacing it, to prevent a damage to the garage door, and to make sure that you and your family will be safe when using the door to the garage. There are different sizes of steel cables, for failing overhead doors, some are for commercial heavy duty garage doors, and some are for residential, single garage doors. But no matter if it is a garage door in Rancho Cucamonga CA, or a garage door in Upland, always use the right part for your garage door, to make it work in a proper way, and to make sure it is safe for use. with a new remote, or if you just need an extra remote control, all you need to do is to contact us, for quick service for a garage door Rancho Cucamonga. If you are wondering which part of your garage door is the roller, all you need to do is to look at your garage door, and you will see small wheels which connect the garage door to the tracks, and they are what make the garage door move smoothly inside the tracks. If you roller is broken, damaged, old or worn, you should consider replacing all the rollers, since soon another roller may break. Replacing the rollers is usually a simple project, as long as it being done by a trained tech. If you decide to replace your garage door pulleys by yourself, just make sure that you are using the right rollers, and that you know exactly what you are doing in every step. Our garage door is usually easy to use, and it seem like it easy to figure the mechanism of the garage door, but you should know that the garage doors are very heavy, and a wrong use of it can be dangerous and even deadly. A garage door troubleshooting isn’t easy and should be performed by an experience technician. If you decided to repair your garage door by yourself, you should know that every garage door, whether it is a garage door in Rancho Cucamonga, or a garage door in Upland can be dangerous, so avoid replacing or removing parts which you are not sure about, and for any problem call us for free phone consultation. this is not the solution, and trying to force the door to go up can only make a bigger problem, and if the door need a part replacement, it won’t matter how much lubrication you will use, it just won’t fix the problem. But luckily, you found us, and since we offer same day service in Rancho Cucamonga, we will fix your garage door today. A broken garage door does not mean that it is time to get a new garage door. There are many possibilities that can lead to a garage door that does not work smoothly: from a broken spring, through a garage door opener problem, to a broken panel; we can help! 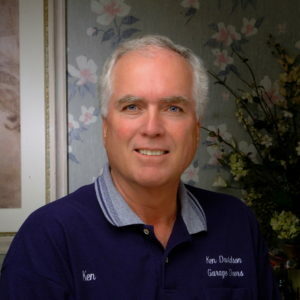 Ken Davidson Garage Doors specialize in all kinds of garage door repair in Rancho Cucamonga. Whether you need a residential garage door repair, or a commercial garage door, you got to the right place. Our garage door company in Brooklyn, have years of experience at the garage doors repair field. All our technicians are licensed and professional, and will always do the best they can to provide you with the best garage door service, like they did many times before. We, at Ken Davidson Garage Doors, believe that a good garage door repair job start from understanding the problem, and the cause to it. Every garage door, that was correctly installed, by a professional garage doors technicians, using the best garage door parts, should work perfectly for years, as long a maintenance job was performed about every 6 months. So in order to avoid problems with the smooth way every garage door should work, we recommend to perform a maintenance job every 6 months. If you think that your garage door in Rancho Cucamonga may have a problem, and you are not sure about it, please call us, and we will be happy to assist you free of charge. Do not ignore the problem, even if it is only a noisy garage door, a small problem will always grow to a bigger one, and the garage door repair that you will eventually need will cost you much more time and money. So if you have a garage door in Rancho Cucamonga that need a repair, and you are looking for a reliable garage door company, look no farther! Call us, and we will do our best to provide you with the service that made us so famous. From commercial garage door repair, to residential garage door replacement, you got to the right place. After years of experience in the garage door repair field, we are proud to say that there is no garage door project which is too small or too big for us. Our team of garage doors technicians have successfully performed hundreds of garage door repair in Rancho Cucamonga, and will always do their best, providing you the best repair service, and always for a fair price! Please know, that a broken garage door spring is dangerous, and a garage door with a broken spring – whether it is a torsion spring system, or extension spring system, should not be used. We fix broken overhead doors springs. We have the knowledge and the experience to fit the right spring for the right garage door. We also install safety cables for extension springs. Those cables are there in case one of the garage door springs will break. In that case, the safety cables will try to minimize the damage that a broken spring, which is under a lot of tension can cause. You should know that not every garage door spring will fit any garage door. Many calculations were made, to fit the right spring for the overhead door, and using the wrong spring will end with a door that doesn’t work, and can even be dangerous. Whether it is a garage door in Rancho Cucamonga, or a broken garage door spring repair near Ontario, stop using the door until a garage door tech will replace the broken spring. If your garage door is automated, and your garage door motor (Opener) is not working like it used to work, it does not always meant that the reason for that is a problem with the opener. As we explained in this article, the most lifting and lowering power is not coming from the opener but from the spring system. If one of the springs is broken, lose, or not adjust, it mean that the spring system isn’t doing its part in the lifting, and the opener need to do the garage door lifting instead of the damages spring, and that what make it seem like the problem is coming from the opener. But that is only option. One more option is that you have a problem with the garage door sensors, which make the door stop when it is closing, and reverse to open position, as you can read in our FAQ, page, there are few options for sensors problems, and few solutions for them. And eventually, there is always the option that the problem is coming from the motor itself. Now the big question which we are facing not once during our garage door service in Rancho Cucamonga is – “should I repair the motor, or should I replace it”? The answer for that depend on many parameters, which you can find our article about garage door motor in Rancho Cucamonga. As you can see, repairing a garage door by yourself is something that can be done, but at the same time can be dangerous. When you are watching the Videos on you tube, that explain how to repair a broken garage door, you are learning how to repair a certain problem at a certain garage door, but most chances are that your garage door is different, and it may require different techniques for the repair. There are many problems that can accrue while we are using our garage door. Being the largest moving object in our house, the garage door can weight hundreds of pounds, and when it is being used on a daily base, sometime few times a day, it is only a matter of time before the door will need some service such as repair or maintenance. From a safety sensor problem, to extension spring that snapped, through out of track, opener repair, broken pulley, broken roller, hit by a car, bent section and much more, it is almost impossible to determine what the problem is before examine the door. The best advice we can give, is whenever your garage door break, stop using it, and contact us for a same day garage door repair in Rancho Cucamonga. Important!!! If your garage door is broken, or if you think that there is something wrong with the way it is working, or if it is making strange noises, we highly advise you to stop using the door, and to contact a garage door repair in Rancho Cucamonga. Not only that using a broken garage door cause a bigger problem, but a broken garage door can be dangerous to you, and to those who come near it. case you need to repair or replace the damaged parts, and perform a general maintenance to the garage door, to avoid other problems in the future. The garage door maintenance isn’t complicated, and can be done by any trained garage door tech. Not only that the garage door maintenance is going to improve the way your garage door operate, the maintenance is a great opportunity to examine the garage door parts, and to ensure that the garage door is safe for use. For garage door maintenance in Rancho Cucamonga, please contact us, and we will gladly perform the maintenance for you. door, the best thing for you to do will be to contact a garage door repairer, to come and solve the problem. be dangerous! Even if you can push roller back into the track, it does not mean that you repaired the problem, and it most likely happen again in the future, and when it will happen again, not only that the damage may be bigger, but it can also be dangerous. doing the majority of the opening and closing, so if one of the springs, or another garage door part is broken, the door won’t work properly, and so will the opener, and it may seem to you like there is an opener problem when there is no opener problem, but other part which need repairs. If you are looking for a reliable and professional garage door company in Brooklyn heights, you got to the right place. Ken Davidson Garage Doors provide a garage doors repair and installation service in Rancho Cucamonga. Contact us today, and get the service that you need. Whether it is a broken garage doors spring, a broken garage door opener, or even a new garage door installation in Rancho Cucamonga, we can help. With years of experience in the garage doors repair field in Rancho Cucamonga and the area, no garage door project is too small or too big for us. Commercial or residential, installation or repair, ask each one of our customers, and they all tell you the same thing: Ken Davidson Garage Doors is a company you can trust. One of the places in Rancho Cucamonga, that can use our garage door repair service is Alta Loma. If you live in Alta Loma, or you need a garage door service for your business in Alta Loma, we are here to help. From commercial garage doors, to residential garage doors, we are the answer to all your garage doors needs in Alta Loma. We know that not once, it seems like the garage door picked the worst time to stop working. But no need to panic, we are here for you. We offer a 24-7 garage door repair service in Rancho Cucamonga, so all you need to do is to contact us, and let us deal with the garage door problem. Need a new garage door installation? Are you looking to replace your old garage door? You are in the right place. One of our specialties, is garage door installation. Each one of our garage door technicians have successfully installed hundreds of garage doors in Rancho Cucamonga, and will do all they can to add you to our long list of satisfied customers.